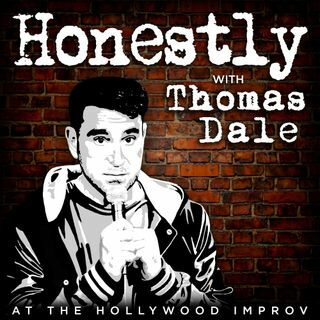 Comedian Thomas Dale has a podcast upstairs at the Hollywood Improv. Listen to comics be completely honest and raw through Thomas Dale’s unique instincts and understanding of people. Just two comics talking and being completely vulnerable. No gags just truth. Contact Thomas on Instagram @ThomasDale5. Produced by Paul Antonio Verdugo (@ThePaulAntonio) and Ben Stewart (@HeyBenStewart) in ... Maggiori informazioni conjunction with the Hollywood Improv (@HollywoodImprov).